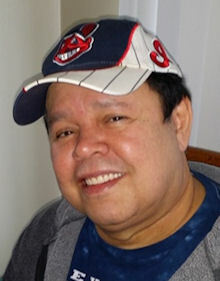 Benigno “Benny” Carrion, age 67, of Elyria, passed away unexpectedly at his home on Tuesday April 9, 2019. Born in San Lorenzo, Puerto Rico on July 8, 1951, Benny had been a resident of the United States since childhood. He attended Clearview High School where he played varsity baseball and basketball. Following his family’s move in his senior year of high school, Benny graduated form Admiral King. He went on to obtain an Associate's Degree from Lorain County Community College. He had been employed by the General Motors Corporation and worked at the company’s production facilities in both Sandusky and Brookpark prior to his retirement. He was a long-time member of the United Autoworkers Local # 1005. Known for his sense of humor, Benny loved small animals and, especially, his pet cat Lisa. He was an avid fan of college basketball and football and a diehard supporter of the Ohio State Buckeyes as well as all of Cleveland’s professional sports franchises. A member of the Buckeye States Sheriff’s Association, Mr. Carrion enjoyed watching televised news and staying abreast of current events when he was not involved with sports. He is survived by sisters Luz M. “Lucy” Carrion and Margarita “Margie” Mendez both of Lorain, along with Teresa M. “Terri” Maccarone (husband Robert) of Valejo, California, and brothers Jose Carrion of Lorain and Reinaldo “Ray” Carrion (wife Sue) of Staunton, Illinois. He also leaves a host of nieces and nephews, as well as great nieces and great nephews. Benny was preceded in death by his parents Carlos and Paulina (nee Martinez) Carrion, and sisters Carmen Maldonado, Maria “Elsie” Shivey, and Tomasita Oquendo. Visitation will be Tuesday from 4:00 until 7:00 p.m. in the Gluvna-Shimo-Hromada Funeral Chapel, 3224 Broadway Ave., Lorain. Additional visitation will be observed Wednesday in Sacred Heart Chapel, 4301 Pearl Ave. from 8:30 a.m. until the time of his Mass of Christian Burial at 9:30 a.m. Reverend William Thaden, pastor of the parish will officiate. Burial will follow in Calvary Cemetery, Lorain.